Believe it or not, June is here! And with June comes one of my all time favorite flowers, the rose. 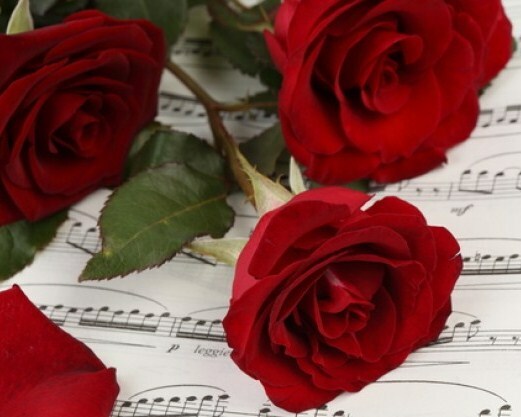 The red rose stands for passion and love. Who could ask for more? As I thought about the beauty of the rose I wanted to know more. For instance, did you know there are more than 100 species of roses? As they grow, roses form a group and can grow either in shrub formation or they can climb and trail. Their flowers vary in size and shape and are usually large and showy, in colors ranging from white through yellows and reds. Most species are native to Asia, with smaller numbers native to Europe, North America and northwest Africa. The color of the rose dictates the essence being conveyed, such as yellow with its essence of friendship, white with loyalty and innocence, and pink with admiration. In my blog this week I want to share this precious post from my amazing niece. I think her take on what Memorial Day truly means is spot on! While most will gather with friends and family to enjoy their swimming pools, cookouts and beer, please take a moment to educate yourself on this Memorial Day “holiday.” It is a time to pause and remember those who gave their lives for our country – those who are accounted for and unaccounted for throughout our nation’s history. Celebrate life with your friends and family, but also remember my brother, Noah, and others like him who answered their country’s call. Regardless of the reasoning behind this nation’s request, they sacrificed everything because that was their duty. This is definitely more than just a three-day weekend. Well said Erin, and on behalf of all of us at Fleurenasci, Happy Memorial Day and a great big thank you to all the veterans who have made this great country what it is today! Thank you all who came out Friday night to support Art With Heart. I had the opportunity to take part in this incredible event and so enjoyed meeting many of you and sharing the story of Fleurenasci! It might have been a bit dreary, but the atmosphere on the Marietta Square was anything but dismal. Art with Heart was hosted by the Arts of Cobb this year, and it was a FREE event which was open to the public. There was a Jazz band, food and drinks, and 13 Celebrity Artist’s painting live! I am forever grateful that Fleurenasci was also recognized as an art, and I was able to display some beautiful keepsakes. If you were there and need more information, please don’t hesitate to contact us. Remember Mother’s Day is only one week away!